City police have announced Pattaya bars inside the entertainment zone will be allowed to remain open until 4 a.m.
Entertainment venues elsewhere in Pattaya can operate until 2 a.m. 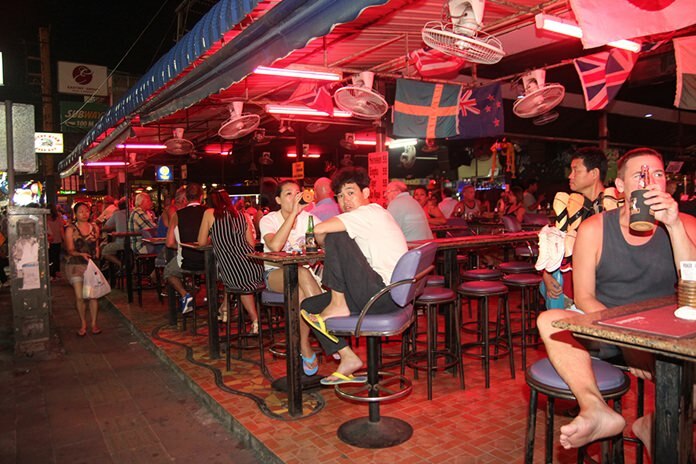 In exchange for the grace period, the bars – particularly those aimed at Thai customers along Third Road – are expected to shut promptly. Again, five-year closures would be exacted for violators. Banglamung District has been sweeping through Pattaya for weeks, taking aim at Thai-centric pubs open until dawn, many of which serve underage customers. They also have raided Walking Street bars, looking for minors and drugs, but found none. Apichai said it was a given that bars found serving those under age 20 would be shut down.